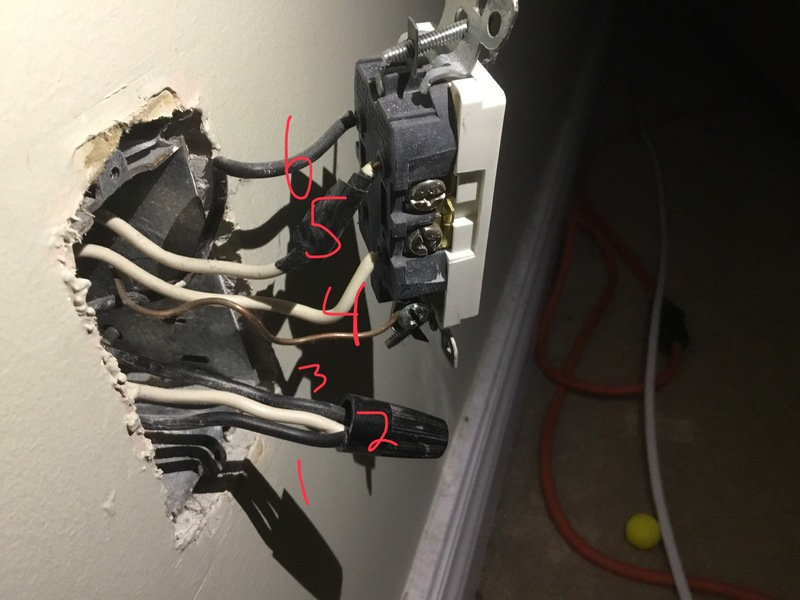 Hello, I’m trying to convert a 3 way switched receptacle to constant power. I’ve posted photos of the 2 switches and the receptacle. What needs to be done? Is one half of the device hot already? I cannot see the tab for the line side. No, the bridge wasn’t broken. The whole plug was switched. Last edited by Aelk799; 04-15-2019 at 10:33 AM. You will have to find the power source. It is most likely up at the switch. This is feeding on thru to another device. So what you do to this device, will happen to the other. Use an electrical meter to find the source. 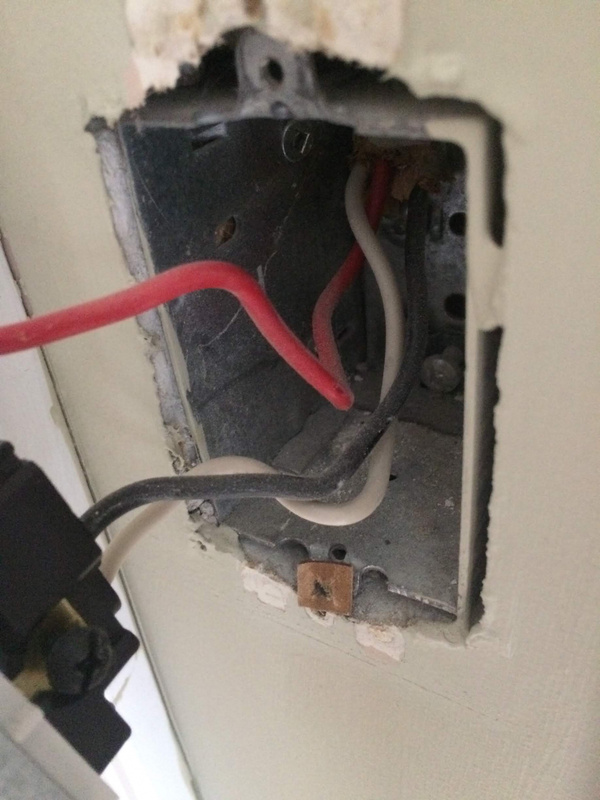 In the switch box, determine the black wire that is currently feeding the outlet. Splice that to give full time power to the outlet. But all things really depend on where and how power first comes into this circuit. There are a couple variables at that point. The two blacks to the outlet might mean there is another switched outlet. It could be left switched or made constant. Need a little more help. We haven’t found any other switched outlets. Either way, we want them all to have constant power. Here’s a better photo of one of the switches. I assume the wires in the top right corner are coming from the other 3 sway switch. 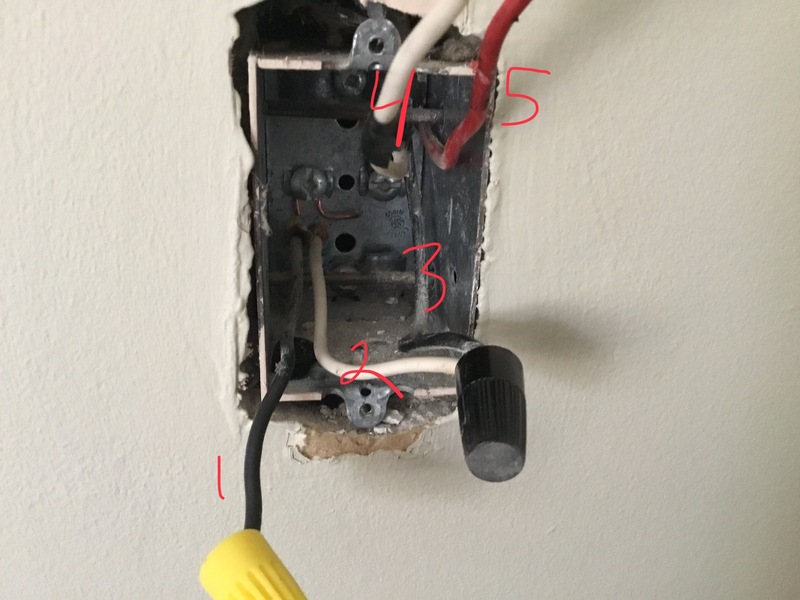 what lines am I testing either in the switch box or the receptacle box? I need to use a multimeter as my non-contact tester is buzzing anytime I get near the boxes. The red could indicate a 3 way switch or a half switched outlet or two circuits. The white connected o black might indicate a switch leg or a 3 way switch. This looks like what you have, and one of the 2 wire cables there would be the power supply. Last edited by Nealtw; 04-15-2019 at 12:33 PM. Certainly similar. Although my receptacle has 6 wires in the box. 3 sets of 2-wires. I’m still lost. You need to find the power source. It will be a single 12-2 cable. One black and one white wire. That is the most likely the source power. This is the reason why electricians do what they do. They know how a simple circuit works. 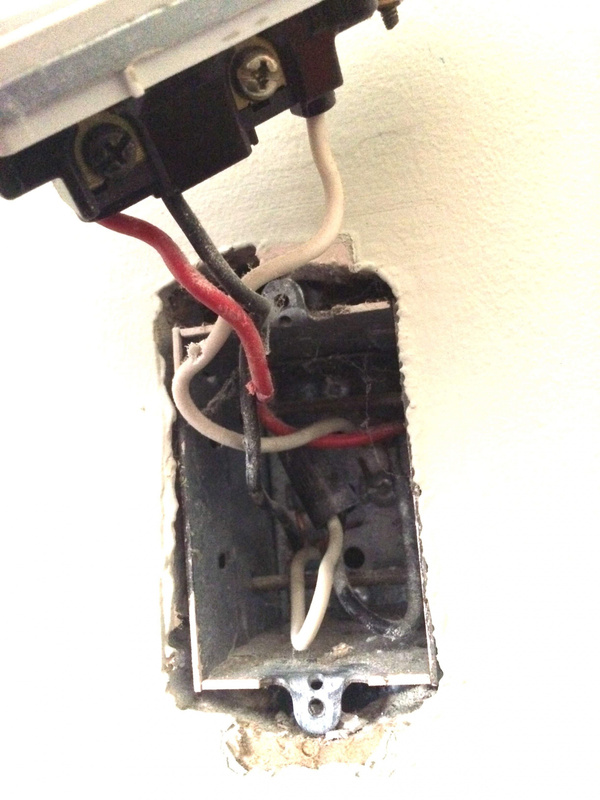 You may want to hire an electrician. Not to bash you on this, but you need to have some knowledge of simple circuits, and how they work. What to look for instantly in a box as to what is what without getting killed. As you see, there is only so much troubleshooting that pictures and text can do. I hear ya. No worries. Perhaps I know a little more than I’m letting on. The setup though is compounding me. Here’s a new photo. I’ve determine where the power is coming from. Highlighted in red. As a side note, the three wires circled in hello where originally spliced together. 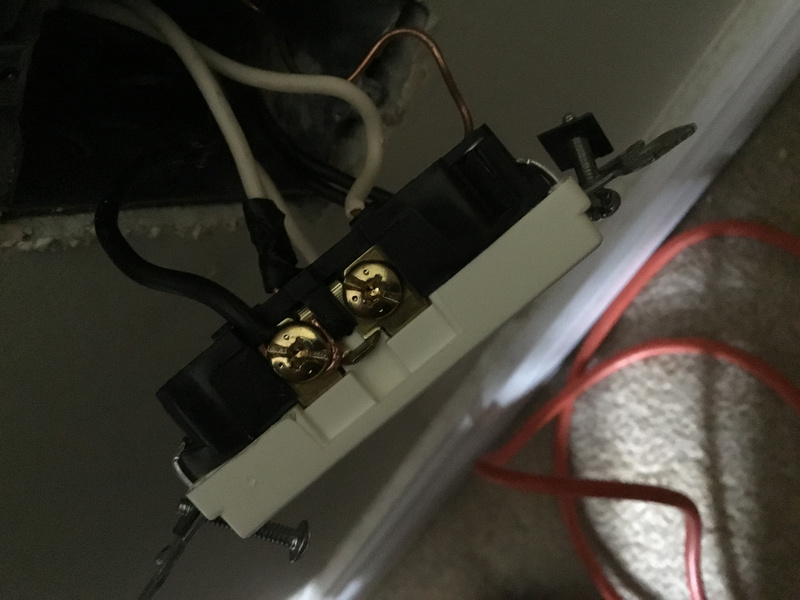 Any thoughts now how to proceed to make constant power here and the downstream receptacles? Put the receptacle box back together the way it allwas before. CONFIRM it works as it it did before. Then go to the SWITCH box(s) to make the adjustments needed. Replace with blank cover(s) when done. When you are finished, please label the back of the cover plates are to what is now configured and where. This will make note to the next person that has to work on this. I have never liked a switched outlet. One thing I wish that we could un-invent. I know that is not even a word. I do not really like configuring everything at the switch. I would rather be able to remove the switch box completely if you want. I would configure everything from that outlet on. You know power is there. Now all you have to do is determine the wire that is feeding the next outlet in line. Take the black and white that you have determine as power. Find a single 12-2 black and white that is feeding the next outlet in line. This is there a tone generator and wand coming in really handy. Or you can create a plug that is tired together and use the ohm meter. Take any old or new part of an extension cord and cut off the male end, leaving about a foot of cord. Tie all the wires together. Plug that into a dead outlet. An outlet with no power. Use your ohm meter to find the wires that are feeding that outlet by touching the black and white from this outlet. Having removed all wires from the device of course. One you have a short, you have found the two wires that are connected together at the other device. 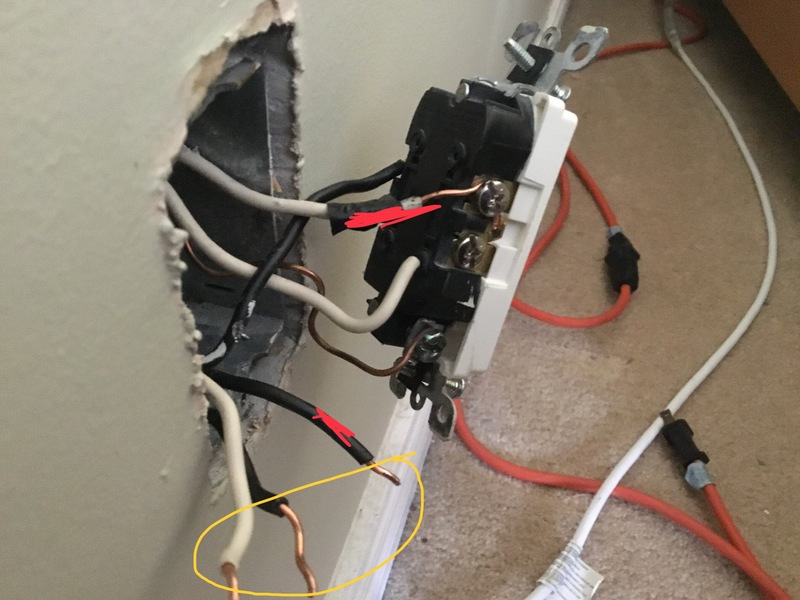 Now you have power, and know the 12-2 wire feeding the other outlet(s), connect the power wire to the outlet, connect the downstream device wire to this same outlet, and you are done. Remove your hand ohm wire tester, and turn the power on to this circuit. Test to ensure there is no power on any wire at the switch. When that is confirmed, the switch can be removed if needed/wanted. And label back of the blank cover stating so. Put the other devices back into the wall boxes.